Gratefully yours Willa S. C. Tuesday. George Seibel's review of April Twilights was published on 26 April 1903, and Cather seems to be responding to some correspondence from Seibel regarding that review in this letter. 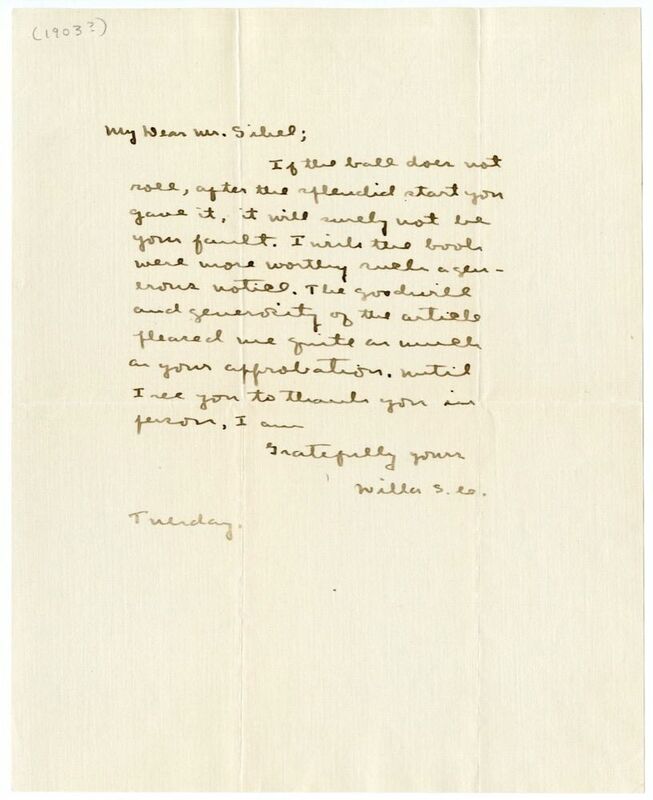 Cather dates the letter "Tuesday," which suggests that it was actually written on the same day as #0081 (Tuesday, 28 April 1903), especially since she references seeing Seibel in person in this letter, which she confirms in #0081 will be on Thursday, 30 April 1903. Seibel describes April Twilights as "a volume that will go through many editions if it meets with the appreciation it deserves" and "a volume that will firmly fix [Cather's] literary reputation, now confined to the ephemeral pages of magazines where even a prolific author is lost in the crowd." 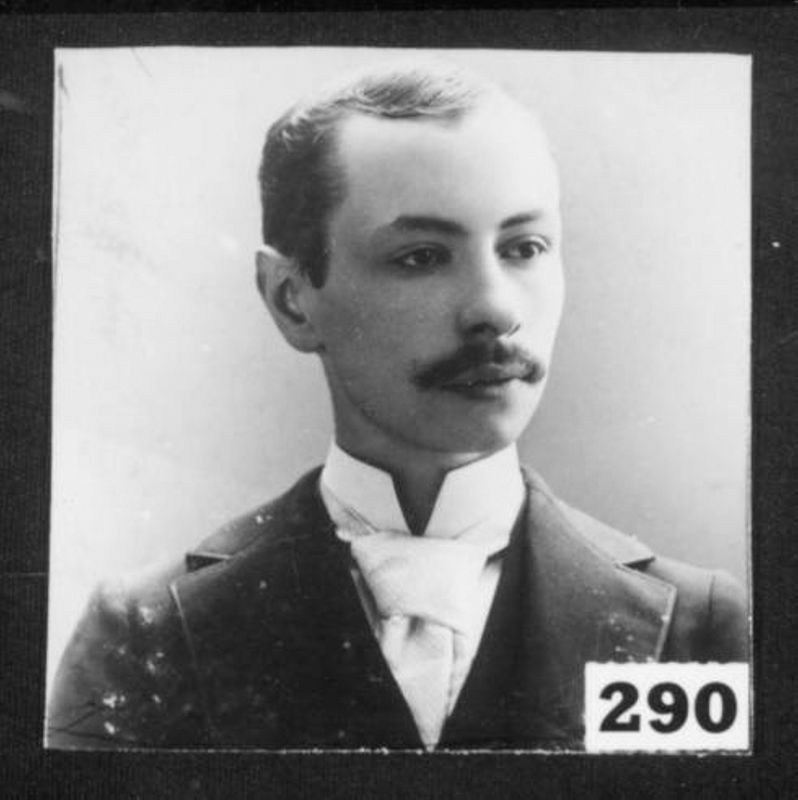 In #0081, Cather writes that she will expect Seibel to come over on Thursday evening, which would be 30 April 1903.